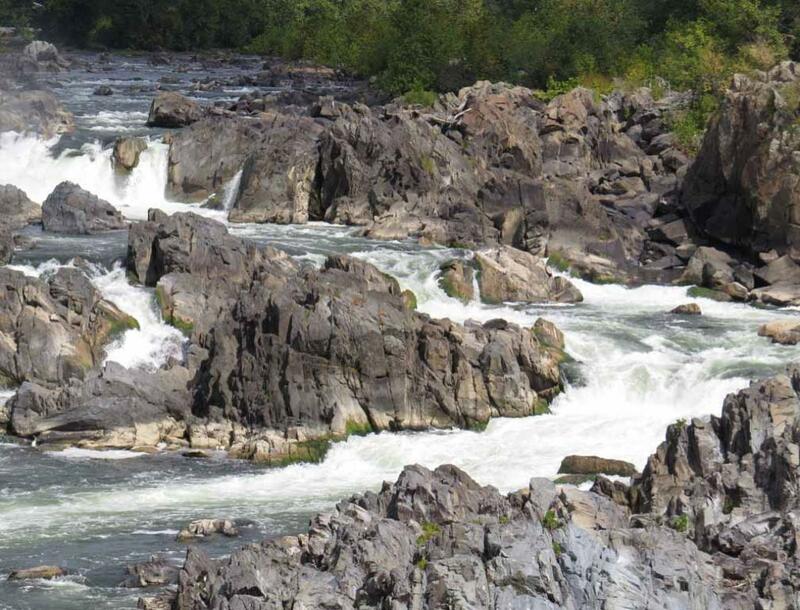 major cascades into a canyon called Matter Gorge. 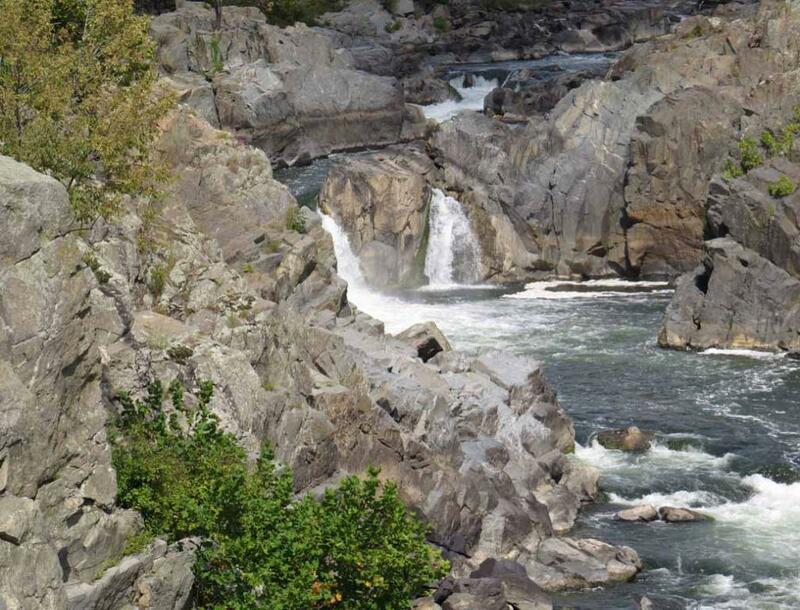 The pools under the great falls are about 25 feet deep. 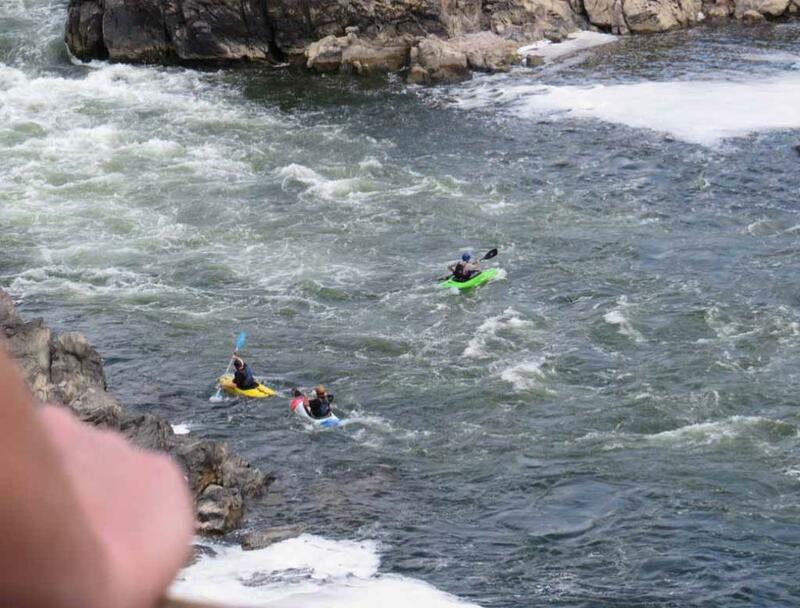 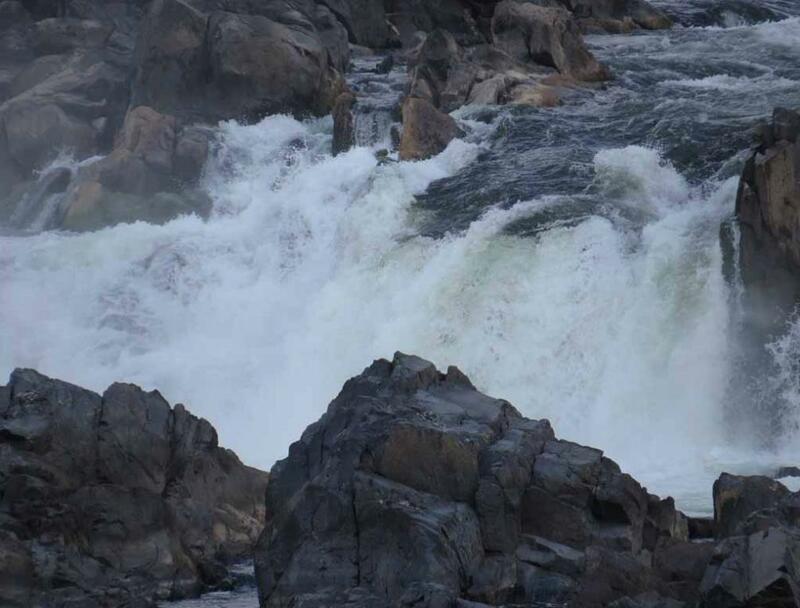 grandeur of the most spectacular and steepest fall line rapids of any river in the eastern United States. 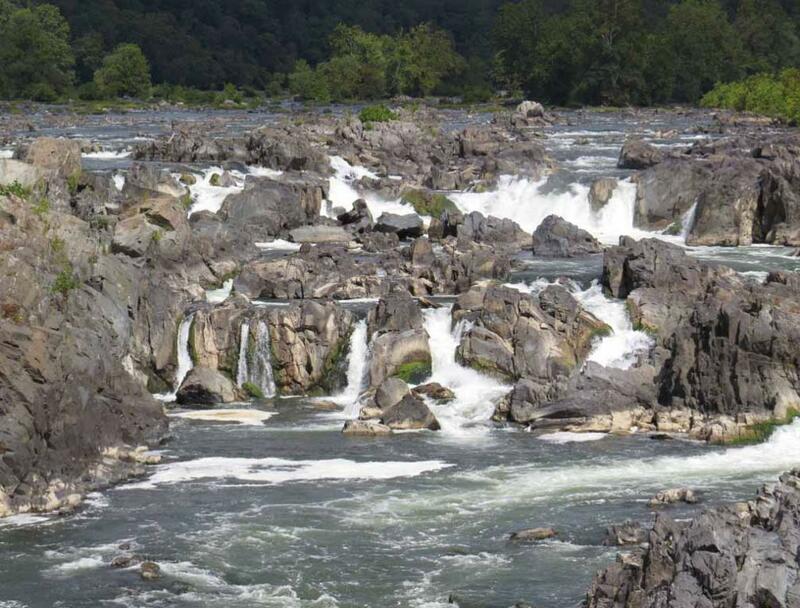 falls within the big picture for photographers to zoom in one at a time. 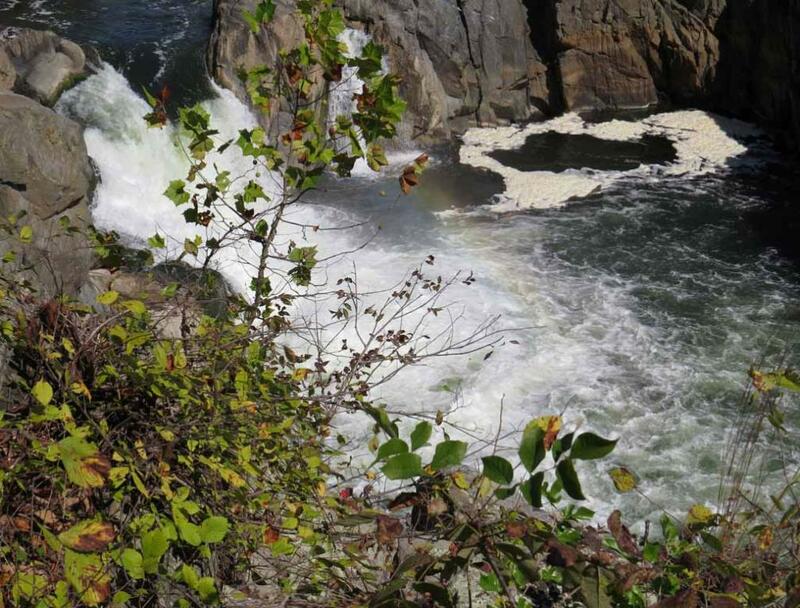 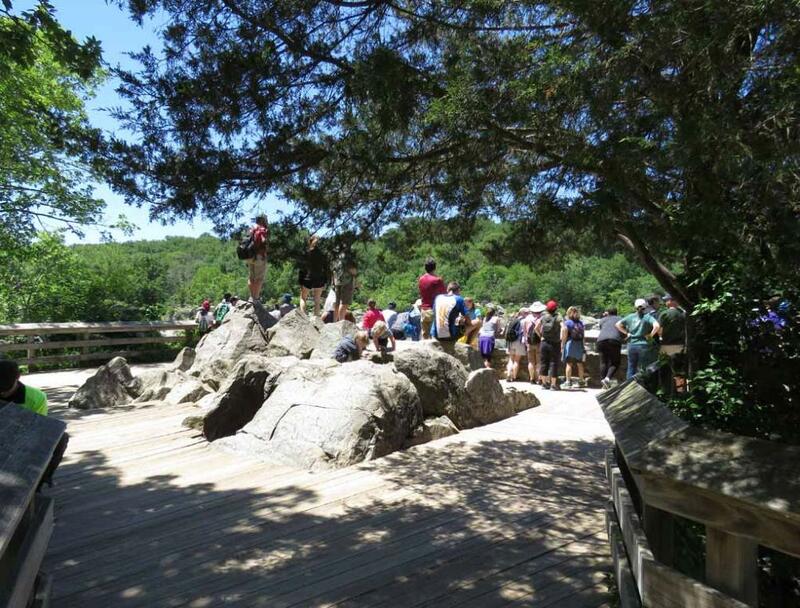 We toured Great Falls National Park on Virginia side on Sunday September 22, 2013. 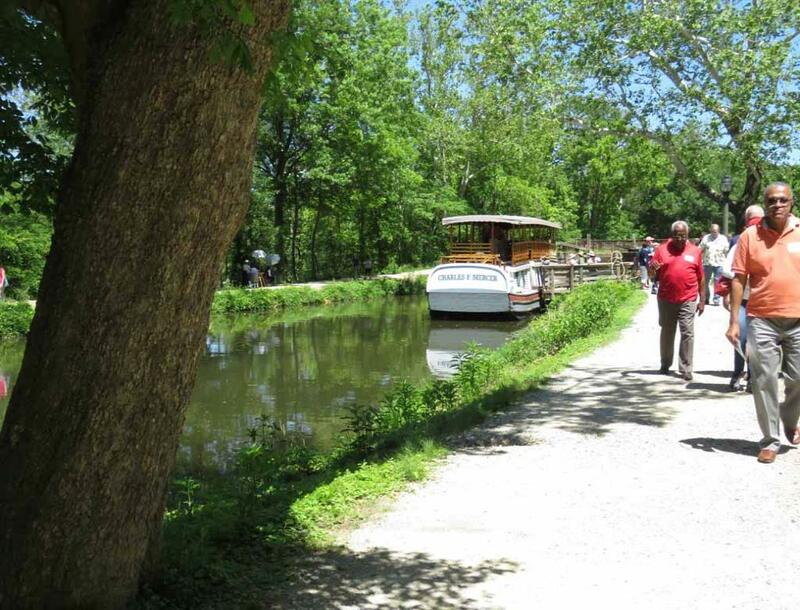 Chesapeake & Ohio Canal National Historical Park on Maryland side. 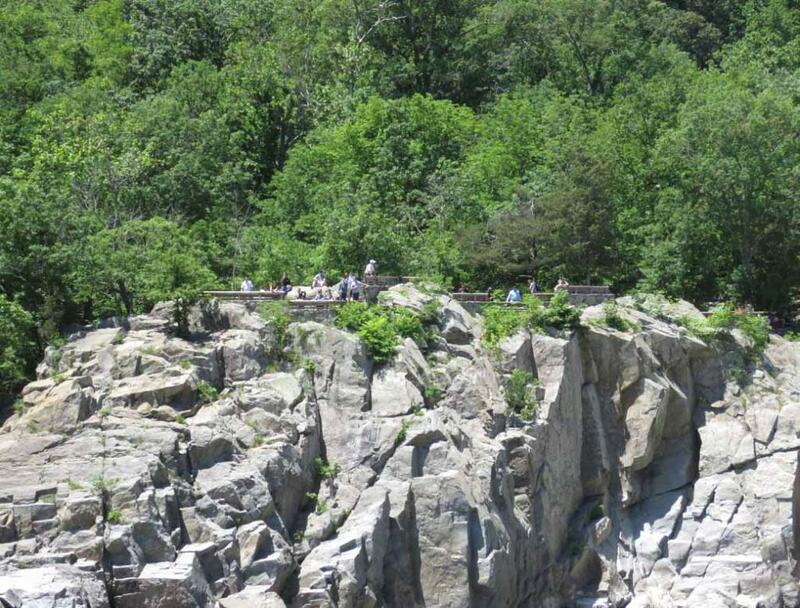 Right side of Overlook #3 at Great Falls National Park is also handicap, wheelchair and stroller accessible. 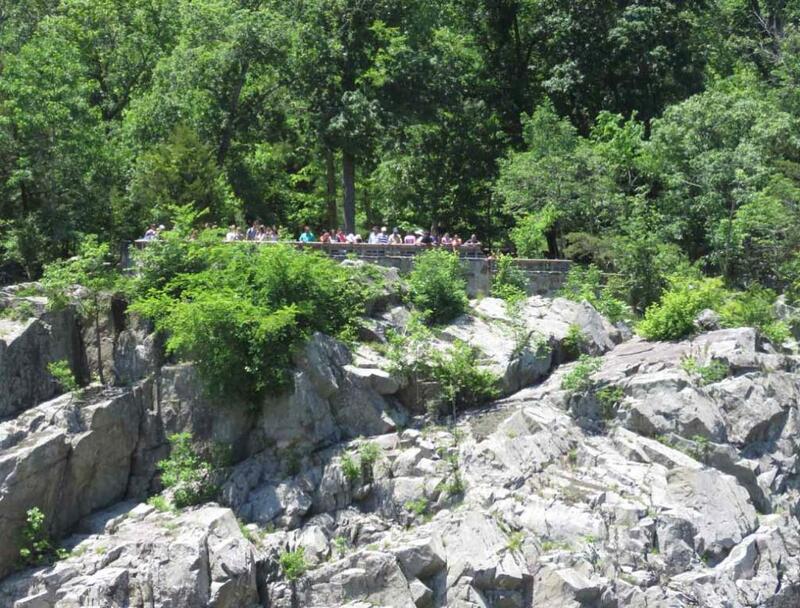 the big rock in the middle of this Overlook platform to get a better view of the Great Falls. 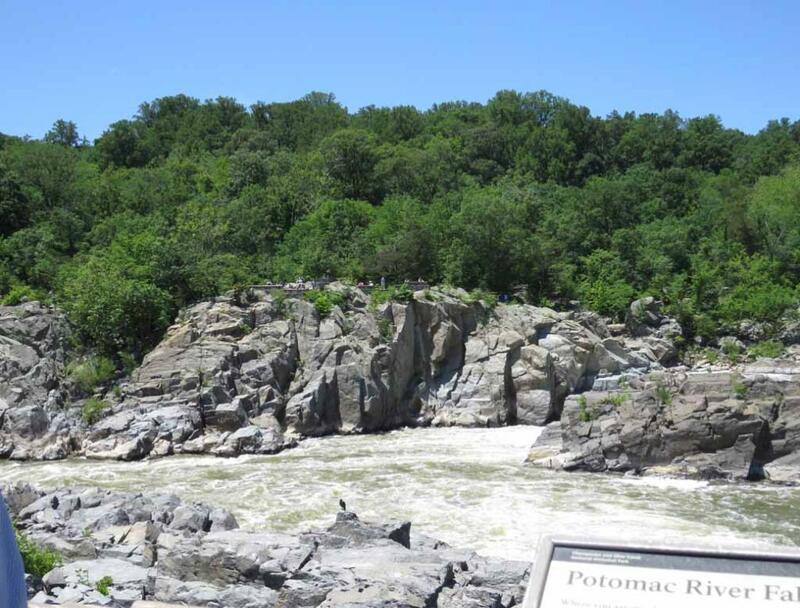 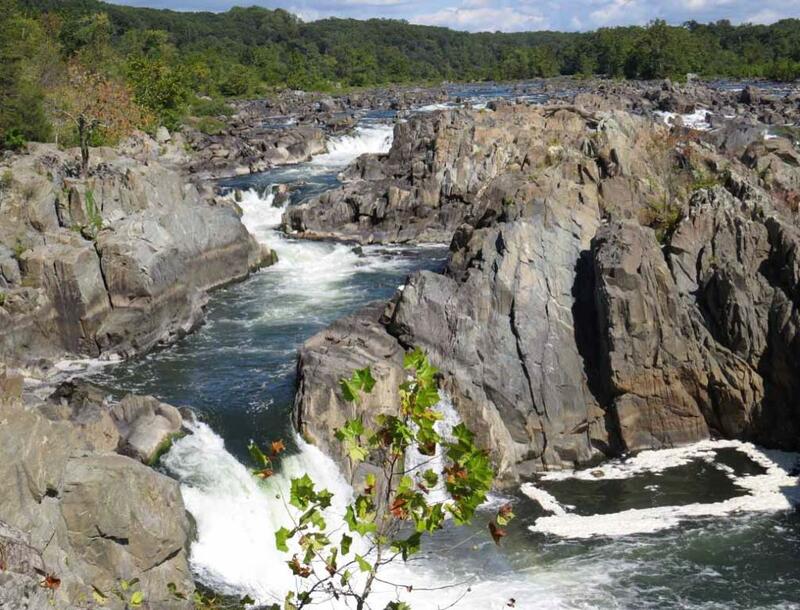 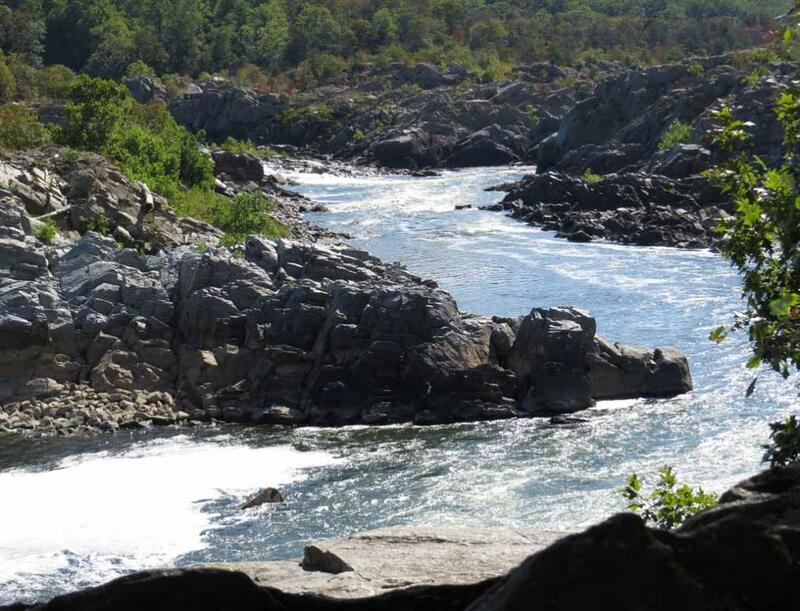 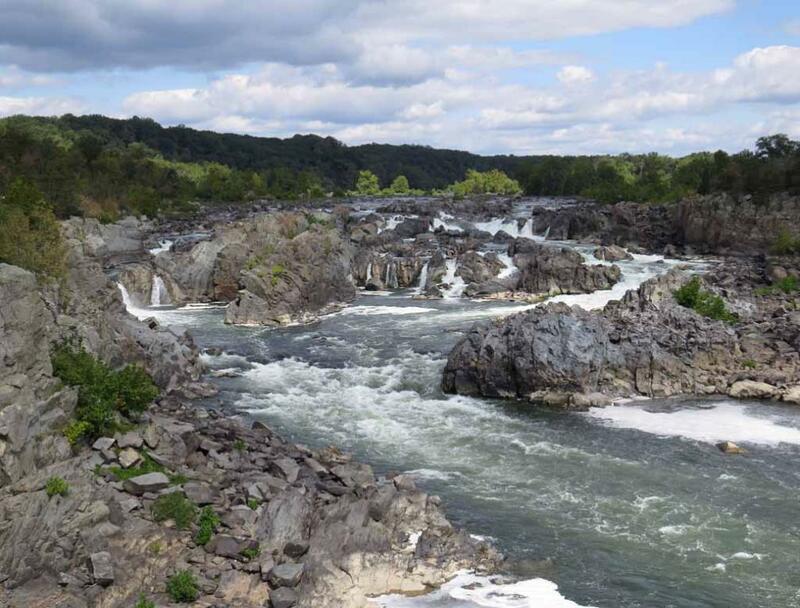 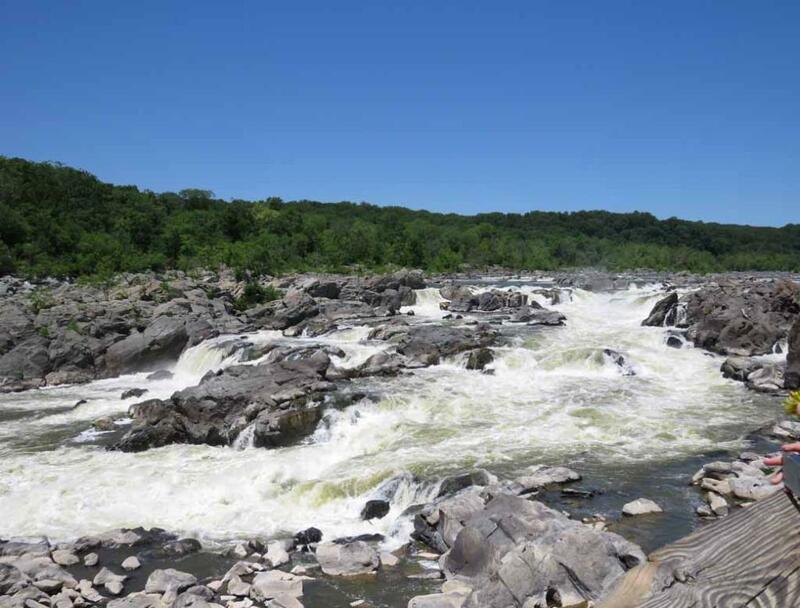 We came to visit Maryland side of the Great Falls on May 23, 2015. 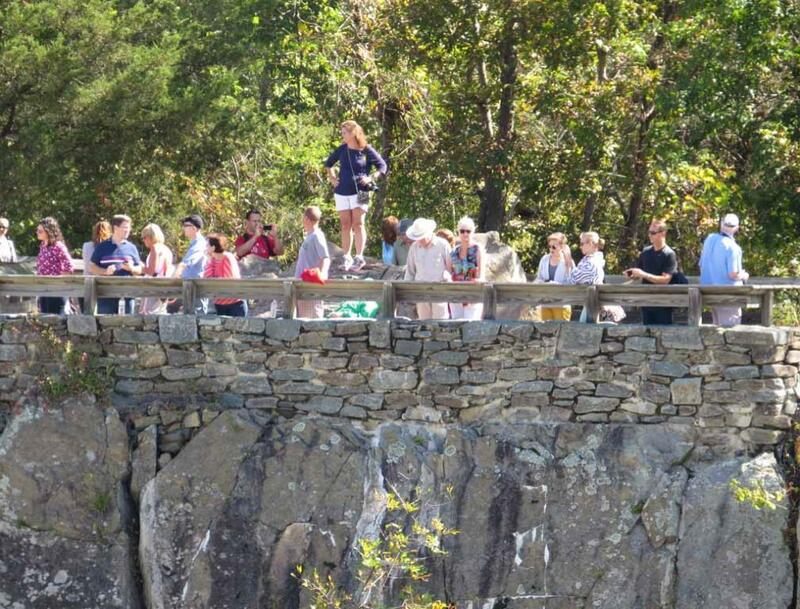 Overlooks on Virginia side is much shorter and is much easier for handicap people. 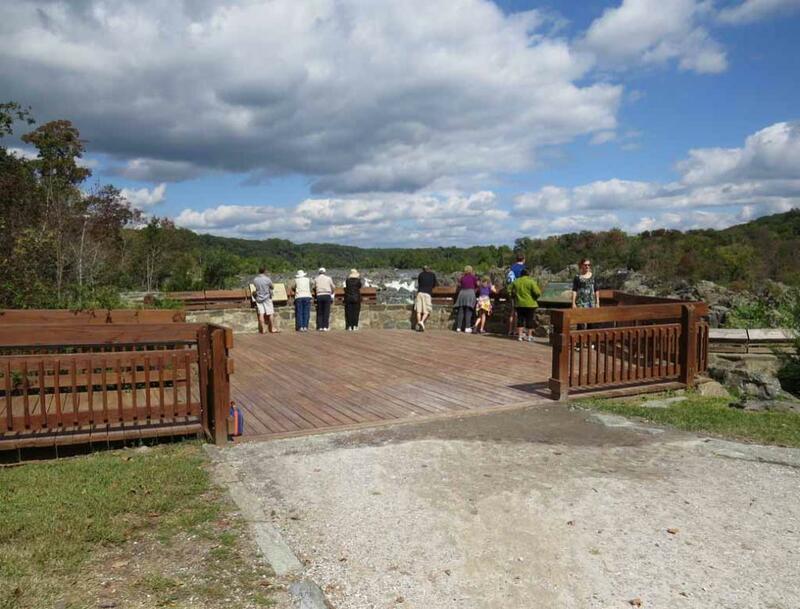 Overlook #1 on Virginia side as viewed from Maryland side. 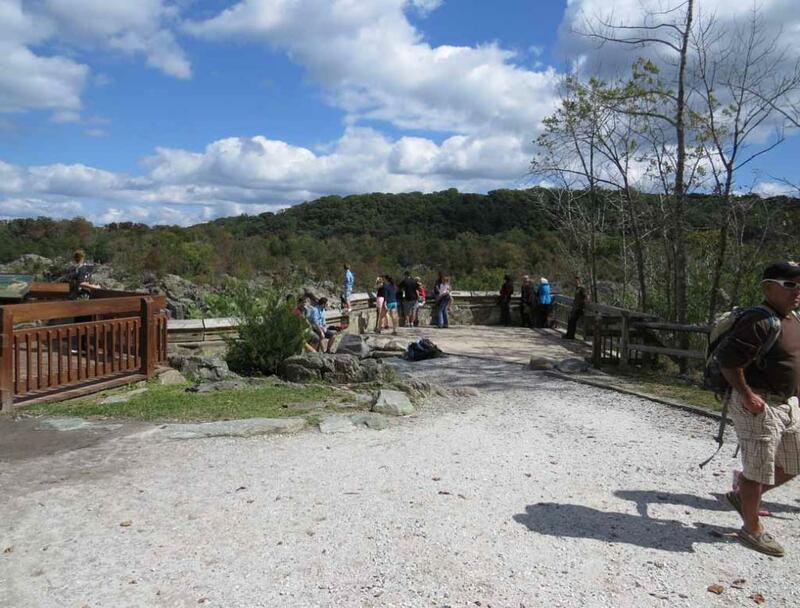 Overlook #2 on Virginia side as viewed from Maryland side. 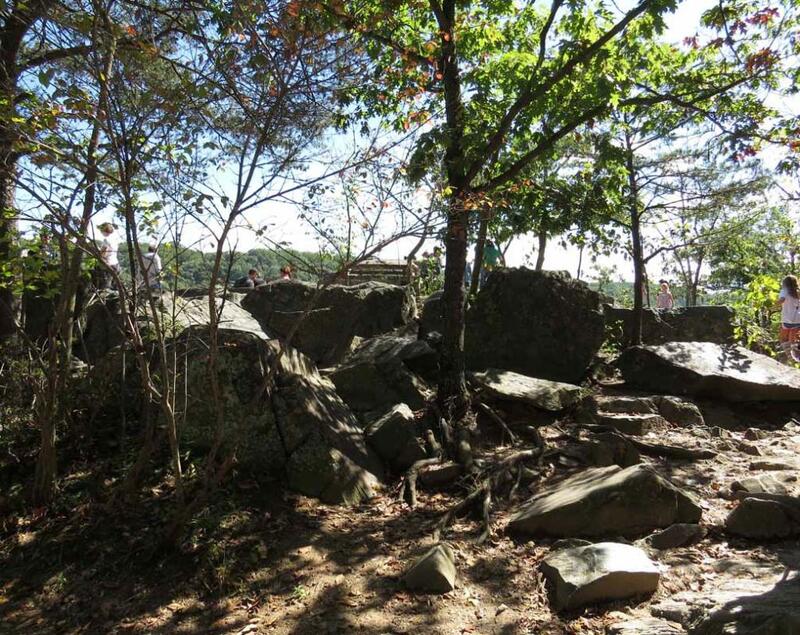 Overlook #3 on Virginia side as viewed from Maryland side. 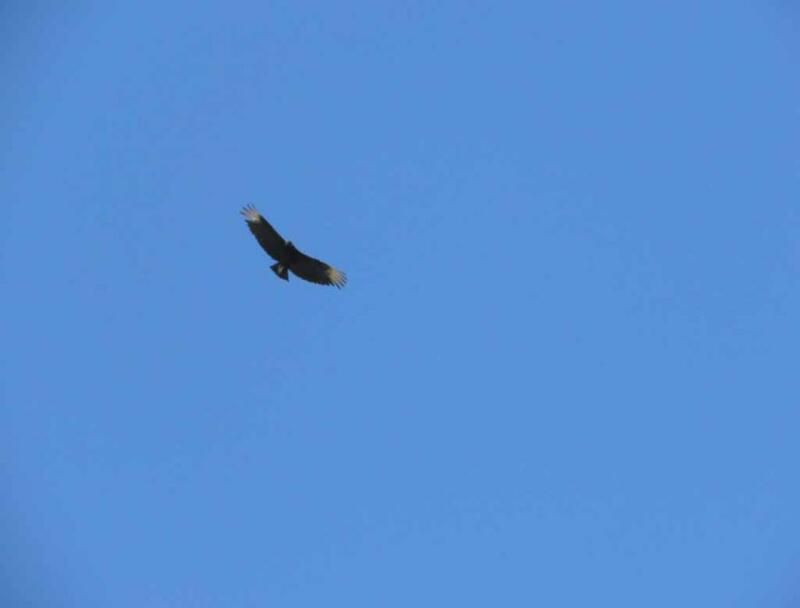 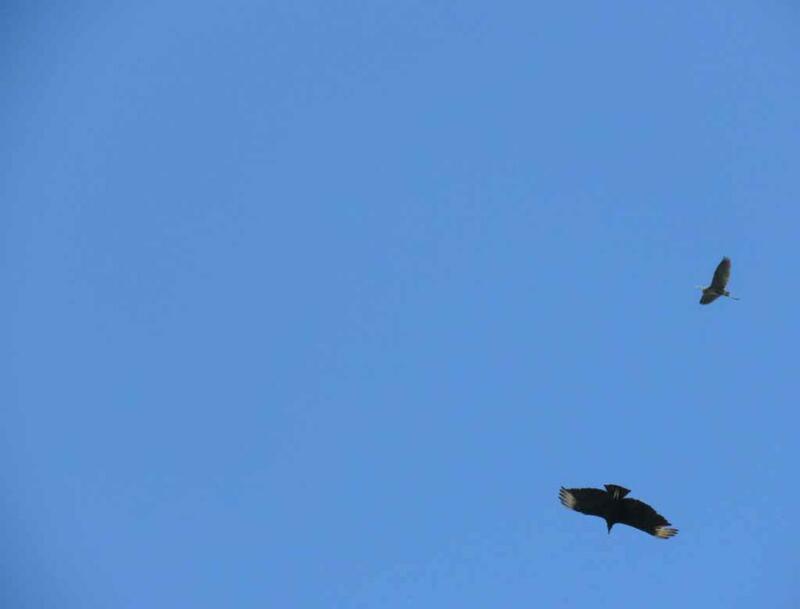 One of several black vultures soaring high above the Great Falls of Potomac. 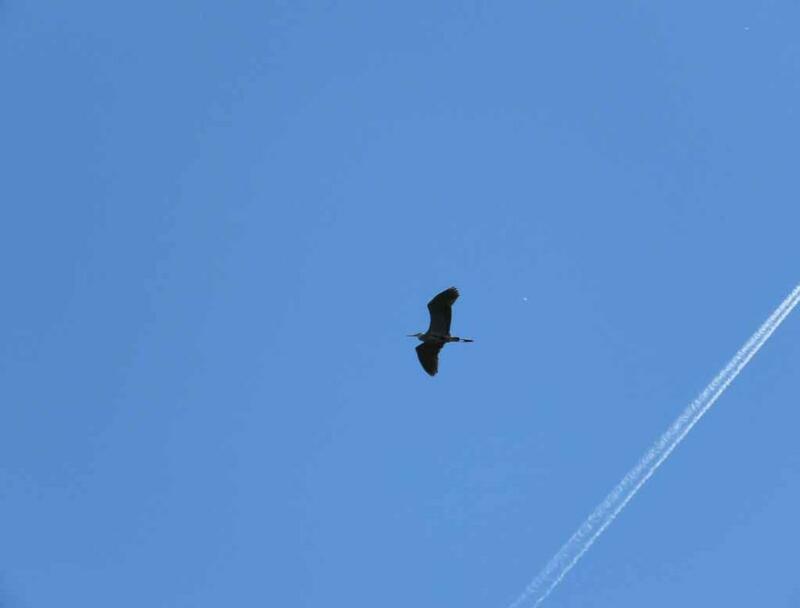 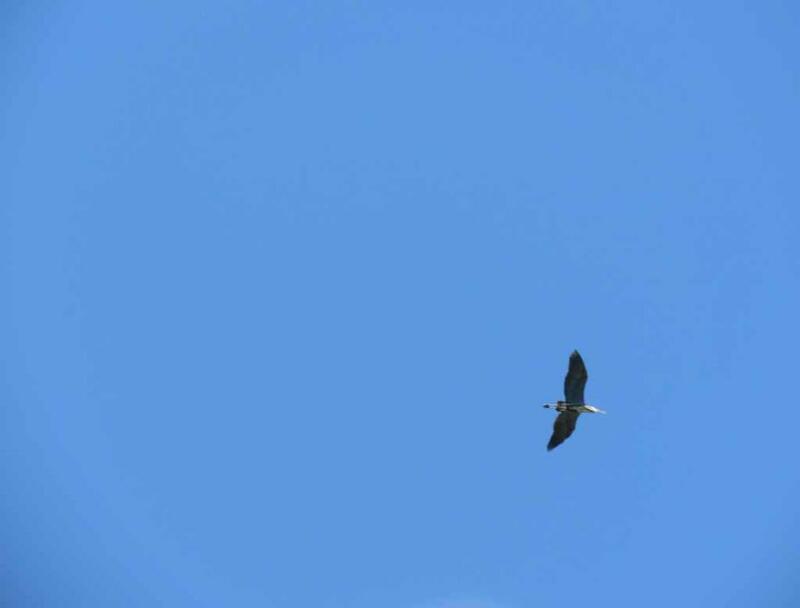 One of several great blue herons flying over the Great Falls area. 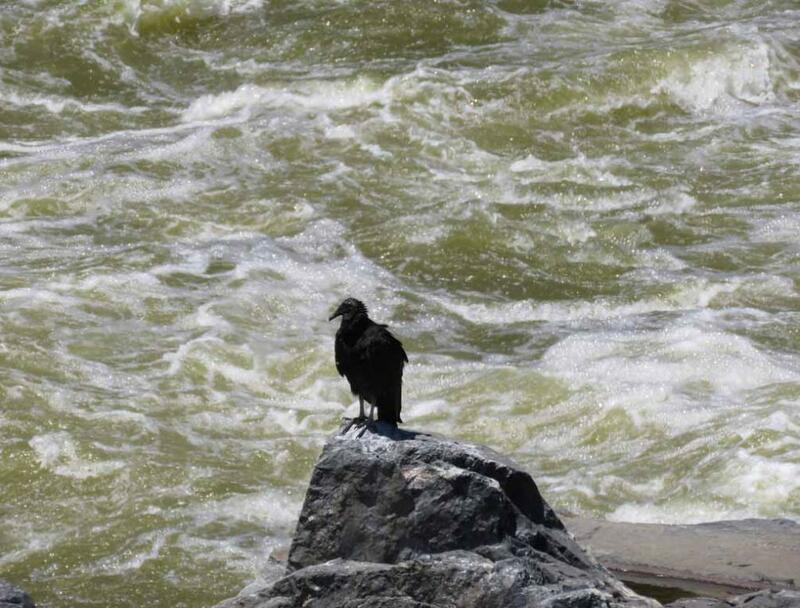 One of the black vultures standing on a rock near the turbulent water. 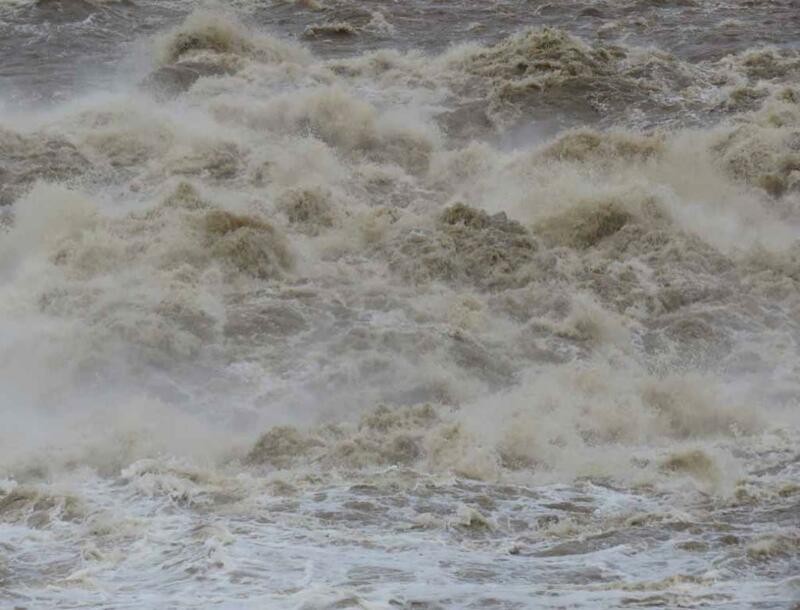 One of several cormorants hunting on such turbulent water. 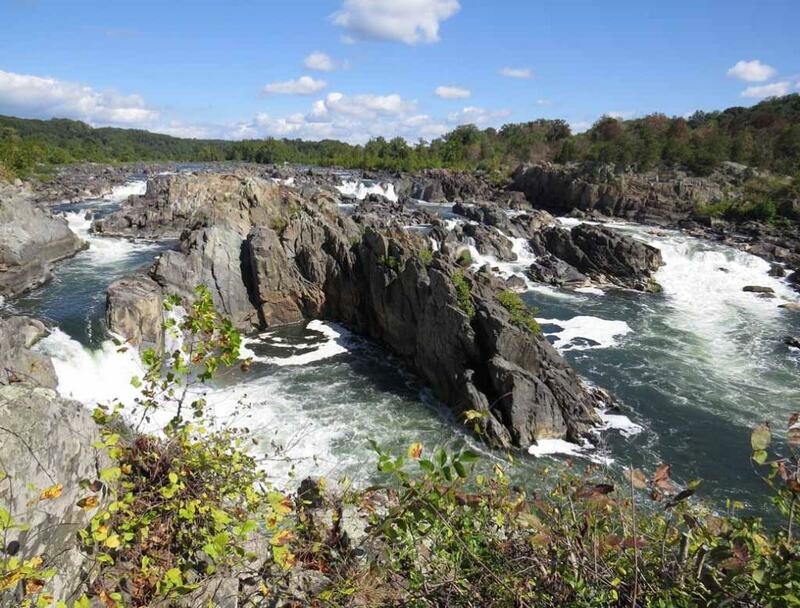 endures as a pathway for discovering historical, natural and recreational treasures! 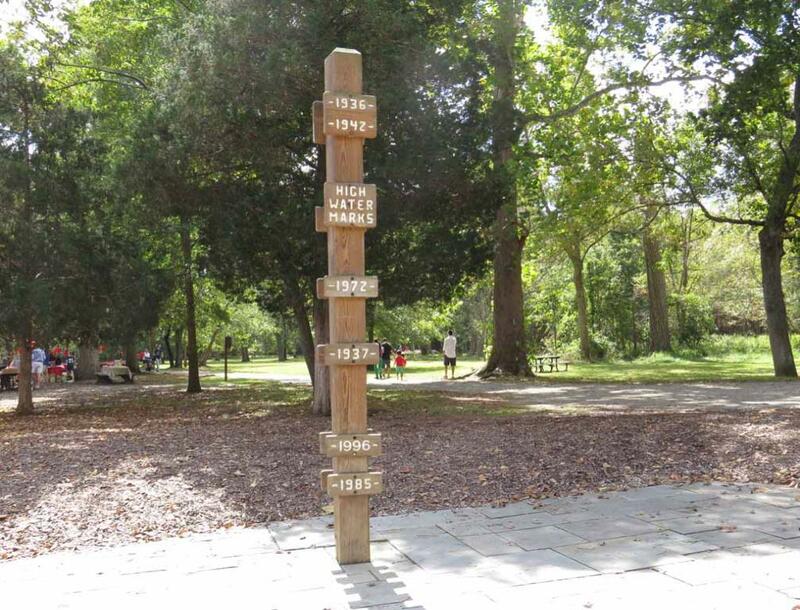 to the 1870's! 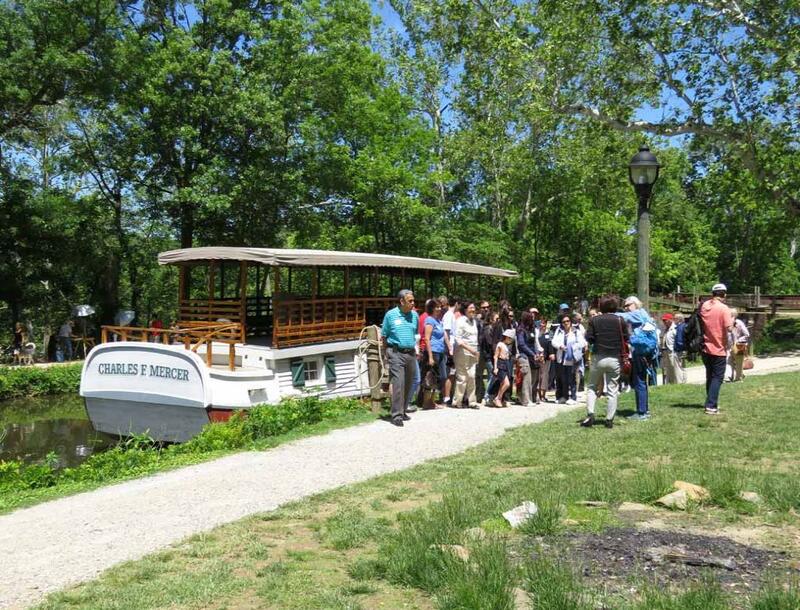 Ride along the historic C&O Canal in a boat pulled by mules. 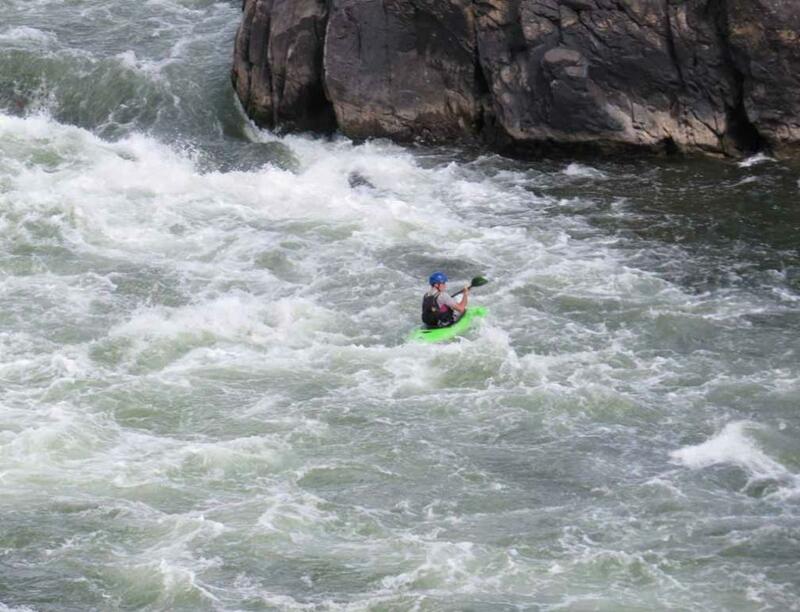 Experience rising 8 feet in a lock. 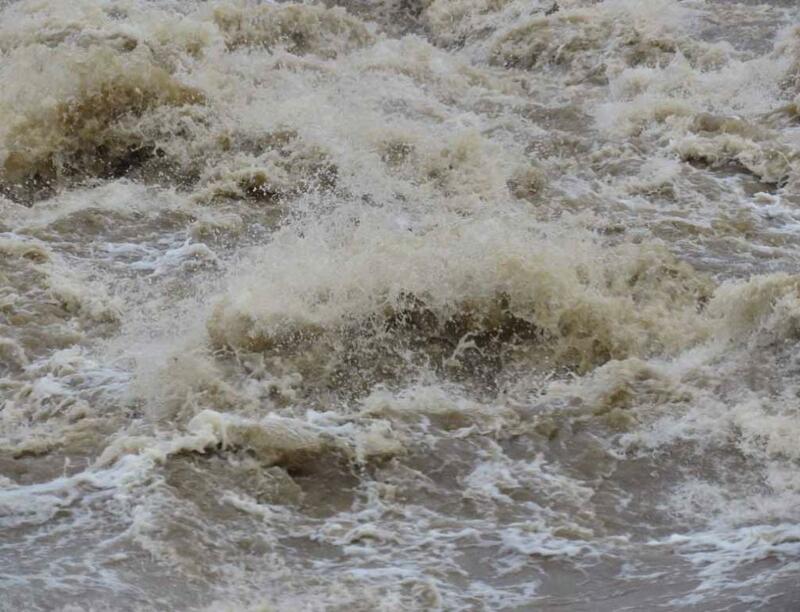 canal. 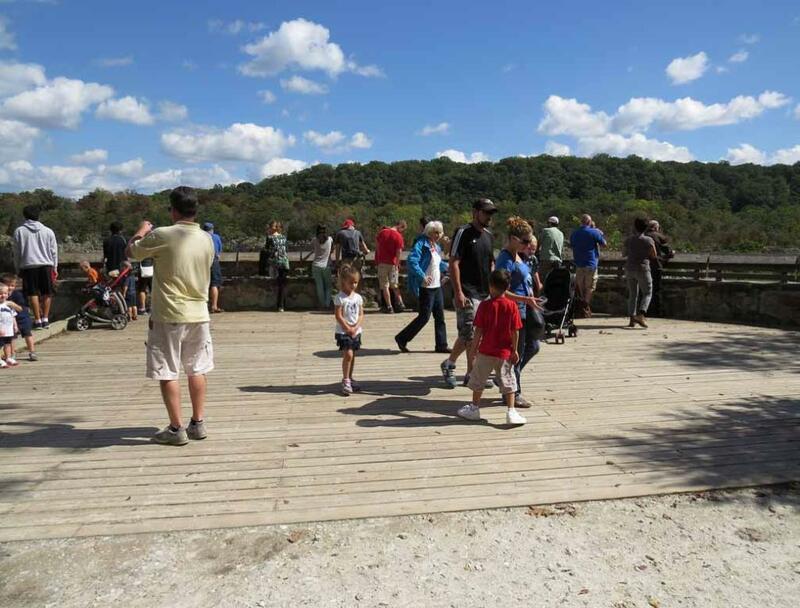 Enjoy life at a slower pace. 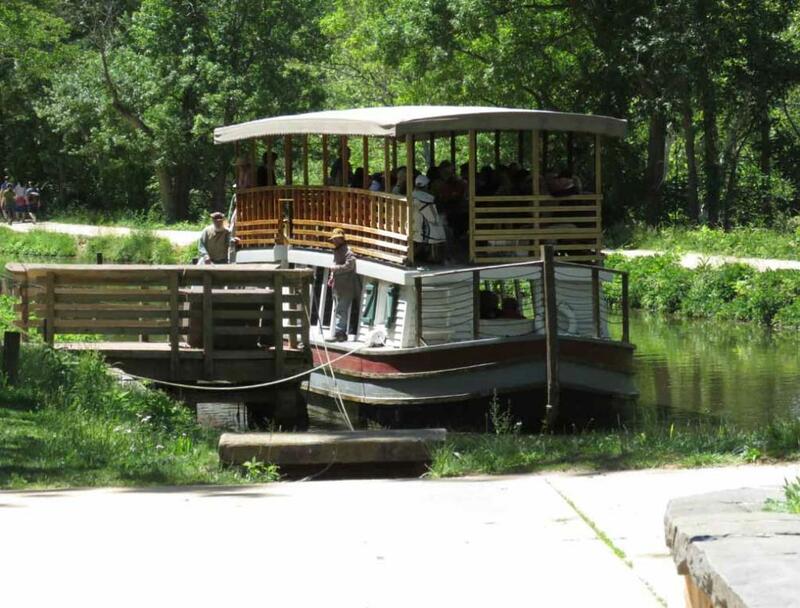 The boat capacity is 65 people. 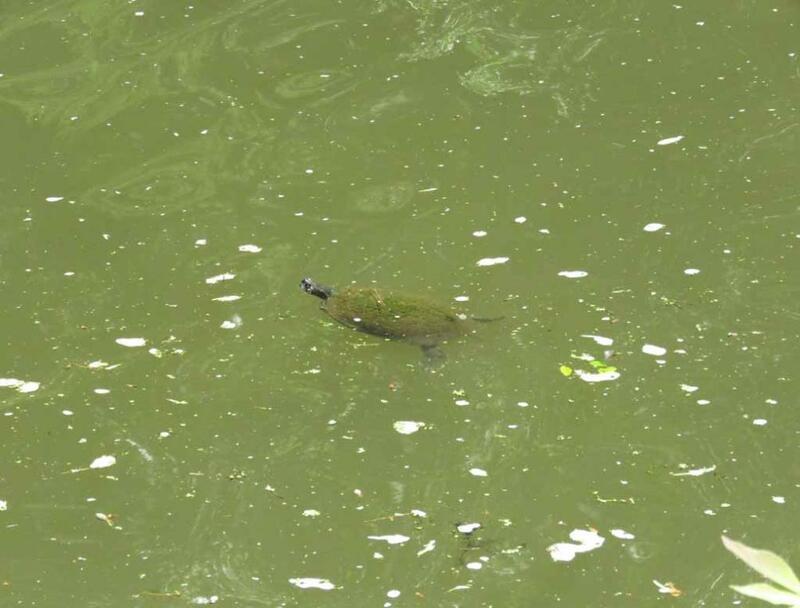 One of several turtles in the canal. 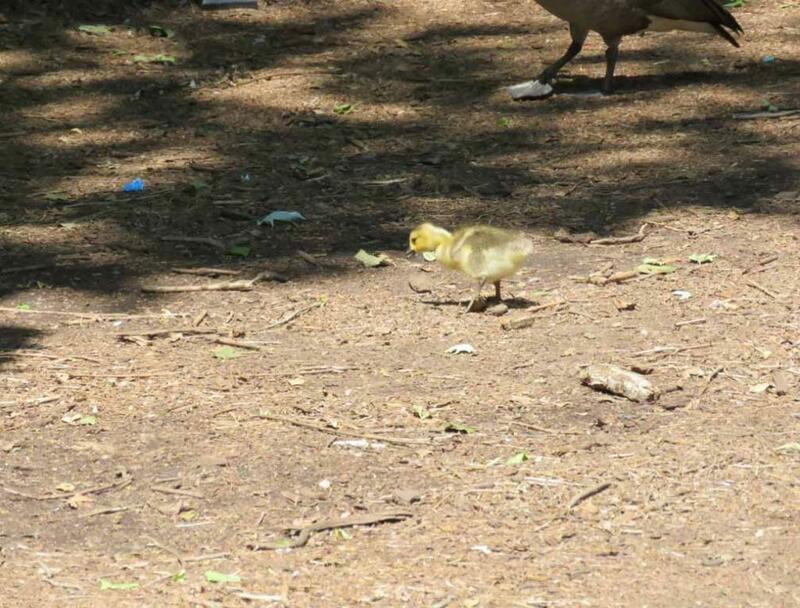 One of several baby geese near the parking lot on Maryland side. 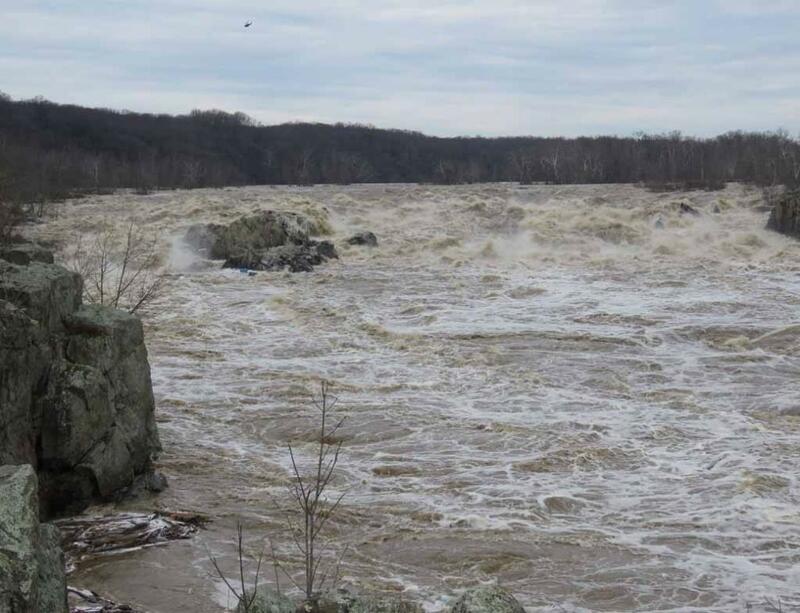 The Great Falls as viewed from Maryland side on May 23, 2015. 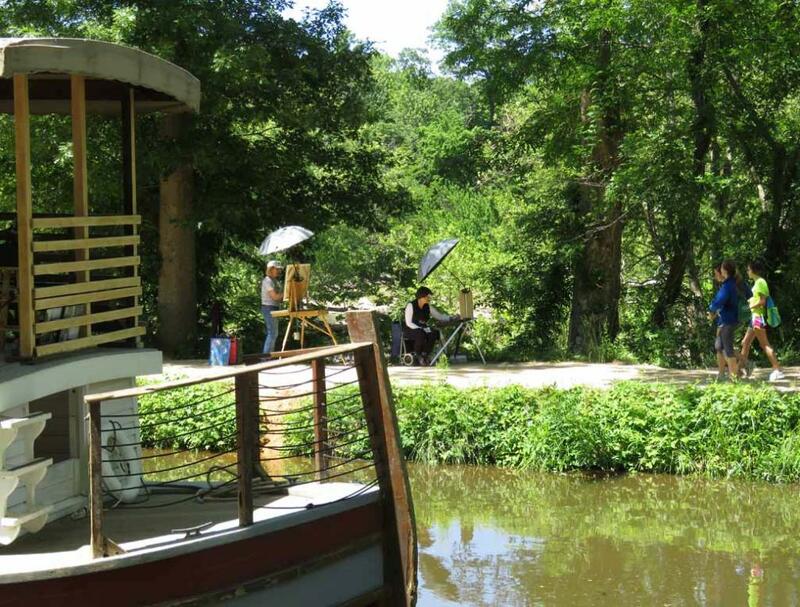 Artists on towpath probably are painting the romantic scenery of the the historic canal. 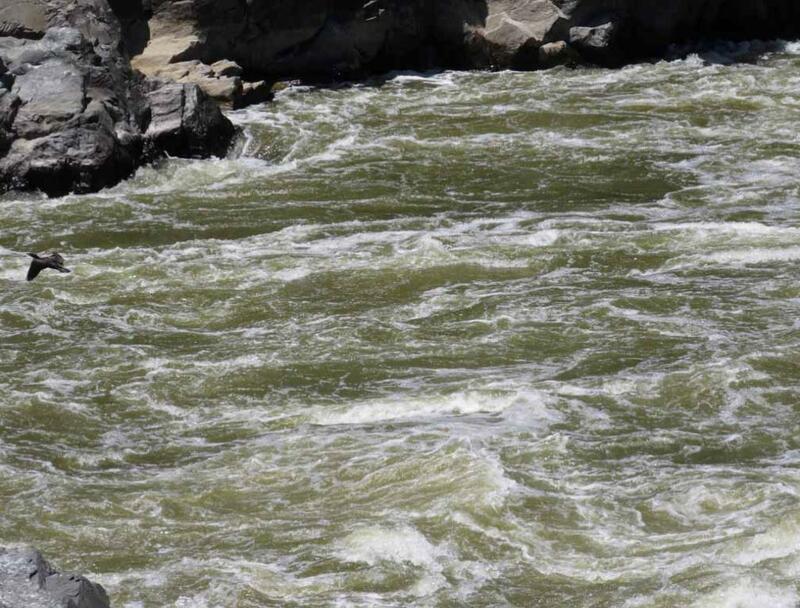 the mighty Yellow River in China. 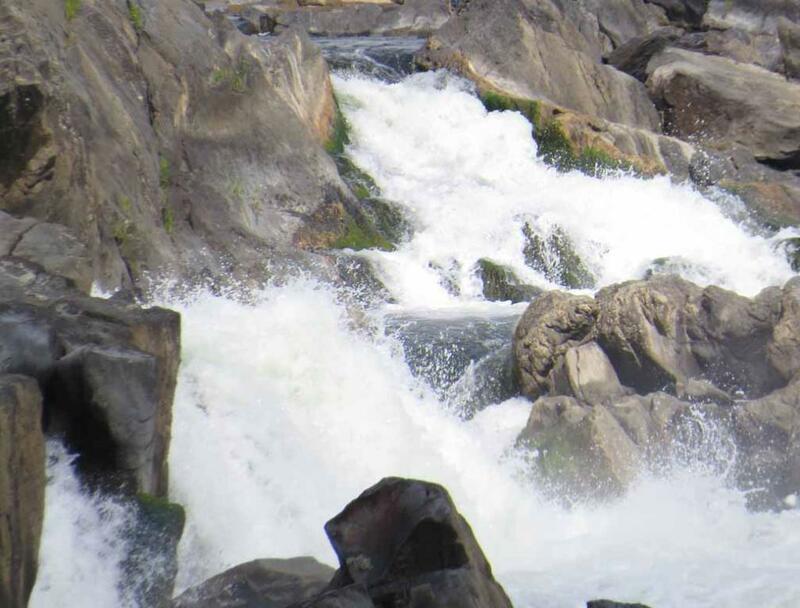 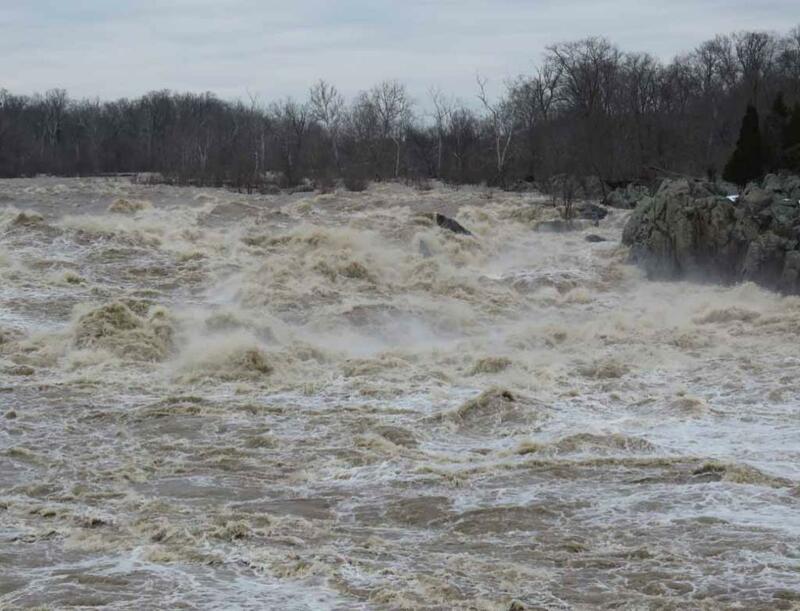 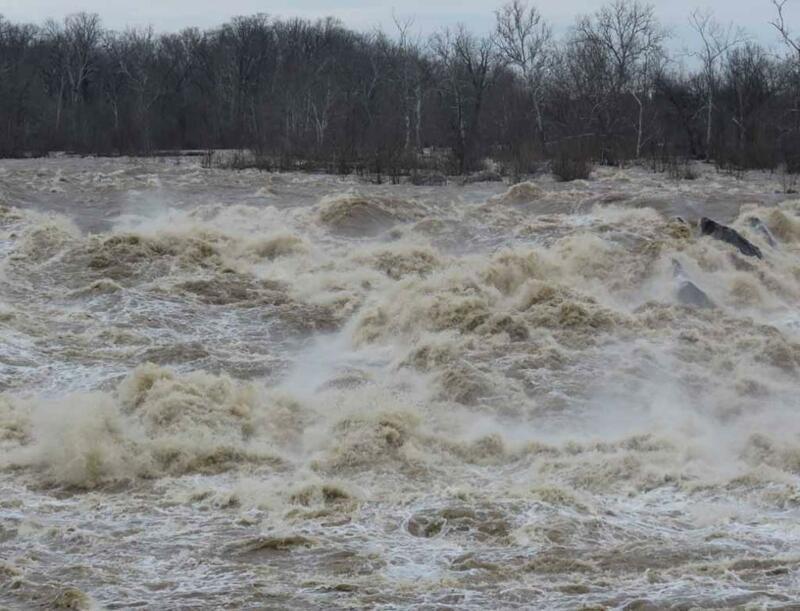 raging cascade on the Great Falls of Potomac River.